A cheap and effective way to do community outreach is to piggyback or partner with existing events. NASA did this in a subtle and effective way earlier this month at an annual event for LEGO enthusiasts. 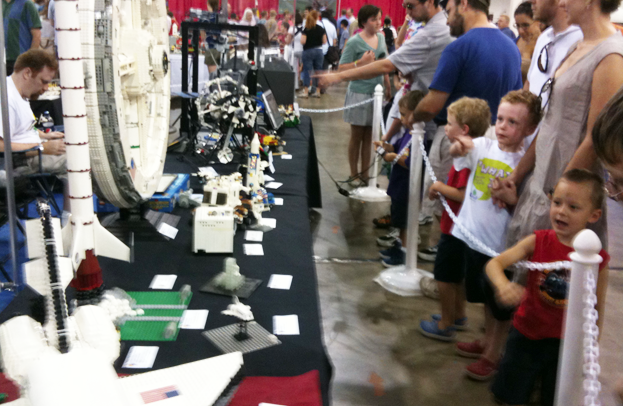 “BrickFair” drew over 17 thousand people in a August weekend to a conference center near Dulles airport. LEGO models of every shape and size were spread on tables. The models were created by kids and geeky adults, on topics from fantasy, to trains, to animals, to space. Front and center, near the entrance, the NASA Aeronautics directorate set up a display with a large banner, some astronaut paraphernalia (e.g., gloves), and an assembly of LEGO models created by enthusiasts. A steady stream of kids poured by the NASA booth. The LEGO event had 941 participants showing their models, and 16,500+ paying attendees. According to fair organizer Todd Webb, in 2009, NASA suggested some involvement in the show, but “NASA involvement was small and most wondered ‘what is that guy doing sitting there? '” Webb realized that to make it work, they had to kick it up a notch. From NASA’s point of view, summer 2011 was good timing. The Space Shuttle Atlantis recently landed, and the Juno mission would launch during the LEGO event. NASA looks for opportunities to promote science, technology, engineering and mathematics. It’s a priority for both President Obama and NASA Administrator Charles Bolden. According to Tony Springer, the head of communications and education for NASA’s Aeronautics directorate, it was also logistically easy: NASA Headquarters was a short drive away, so “it made sense for us to participate.” Springer’s department is interested in reaching both adult attendees, and youth. 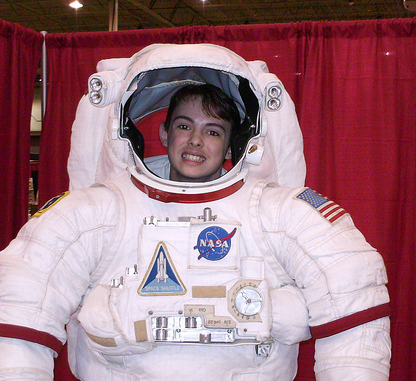 The NASA booth was much more professional looking in 2011, said Webb, and they had “even more cool stuff… and made a nice presentation.” NASA was responsible for their display, and brought their own table clothes, display cases, and props. To do community outreach in the sciences or humanities, take a fresh look at local/regional events. Who can you partner with? Thats really interesting. Thank you.